Reha Tanör first contacted me, asking if I'd publish one of his short stories on my blog. I receive a lot of unsolicited emails like this, so I sent him a terse, templated response. 99% of the time, writers haven't bothered looking at what I publish on the blog or read my submission guidelines. They just send me a story and ask me to publish it. My English is not good. I used translator and editor on my book. For this reason I couldn’t understand you correctly. I then asked Reha how he went about translating my messages into Turkish and his books into English. Google translate vs human translation – I've often wondered who would win that battle. I've always assumed it would be a human who understood the nuances of two languages, but I have no direct experience to know for sure. Technology is always developing and improving. One should never assume anything. A lot of my website users are based in countries where English is not the official language, so I thought it might be interesting for them to read about someone else's experiences of overcoming that obstacle. After a bit of back and forth, and a plethora of questions from me, Reha kindly agreed to write about his experiences. In this post he shares his journey, from writing law, to blogging, to writing books, translating them into English and then publishing them. I hope you enjoy Reha's epic tale. What’s the Most Serious Job in Life? We were planning on having a big family dinner. Absolutely everyone was going to be there for the big event – my 70th birthday party. I was sitting in my study, thinking. Staring out at me were shelves full of my books and articles, all of which were giving me an early toast for my birthday. I had written thousands of pieces on capital markets law, and now I was face to face with everything that I had written. From time to time, a mischievous idea will pop into your mind, reflecting itself in a devious smile on your lips. If someone had been with me as I sat in the study, I have no doubt that they would have witnessed such a smile on my face. But the thought that came to my mind right then and there wasn’t the type that would have pleased the books that were studying me. “It’s time to write something else – something more serious – with the time I have left,” I said, smirking at myself. But can there be something that’s more serious than the fairly formidable field of law – and capital markets law, at that? There’s something called 'the art of living well'. That was the subject I needed to devote my writing energies to. For all of us that have been lucky enough to find gainful employment, we’re consigned to work our tails off. Men, women, young people – all of us trudge off to work before it’s even light, returning long after the sun has set. And for what? You might work non-stop but what are you actually left with? How much joy are you able to grab hold of? Whoever’s joy outweighs their sorrow on the scales of daily life has got their nose in front in terms of living the good life. It’s all about knowing how to live well! Can there be a more serious aim than this? I was used to writing more scientific works, but how was I going to move on to this next chapter? Would I be able to at least say a few words about how to fill our lives with joy in our short time here on Earth? Would I be able to give readers a clue about how to turn daily struggles upside-down by taking advantage of some flashes of happiness? When I was in high school, I was fond of art and literature. I wrote a lot, and you could even say I had a theatrical side. At the time, I was selected to play the lead role in a theatrical play. But shortly after the rehearsals began, the director came and told me he wanted to give me a 'more important' character role. Devoid of any other option, I accepted. Not long thereafter, the director came back and said, “You’re wasting your talents in being an actor. If you become the director’s assistant, it’ll really add something to the piece.” Again, devoid of any other option, I accepted, 'adding something' to the piece by printing the invitations and painting the décor. Later, I thought I’d try my hand at poetry. I wrote one poem that took some inspiration from a Shakespearean sonnet – and even borrowed a few pompous words from the English bard – before proceeding to read it to the girl whom I had my eagle eye on. All she said when she listened to me was, “You’re really funny.” I got the message. I gave myself over to novels, choosing to pen something about a refugee’s adventurous journey. I had my asylum-seeking youth surreptitiously board a freighter bound for New York and began to tell the story. After a while, I had a look and realized that I had passed page 50 and the boat hadn’t even weighed anchor! At this rate, my book was going to give the Russian classics a run for their money. That, however, would be a disservice to them – if truth be told, I had started to get bored, so I left it there. I had my youth disembark the boat and sent him back to his family (for some reason, it had never occurred to me to send my protagonist off to New York together with his family). Writers typically graduate from the short story to the novel. I, however, was about to do the exact opposite. My first short story was titled 'The Hair in My Shaver is Truly Unhappy'. If you ask me, it was an experiment worthy of Sartre, but my literature teacher wasn’t quite of the same opinion. “My son, why don’t you try shaving with a razor?” he asked, deadpan. After that, I gave that up too. Many decades later, I had been writing to a small group of friends about my experiences as I travelled the world and visited restaurants. “Publish this!” they kept telling me like a broken record. In the end, I thought, why not? And that’s how Restaurants and Tales was born. Naturally, knowing how to live well isn’t just about wining and dining. Enjoying a warm conversation with friends or family around the table, digging into delicious food and getting just a bit tipsy with a nice drink is an important part of this too. It was an excellent idea. Excellent ideas invariably come from young people these days. Instead of us mentoring them, they’re showing us the way. The following day, I talked with Gül, my assistant (I neglected to mention, I’m the chairman and CEO of an investment trust), about making the necessary preparations for a blog. Then we got down to work. I agreed immediately. After all, without quality help, you won’t really get anywhere. 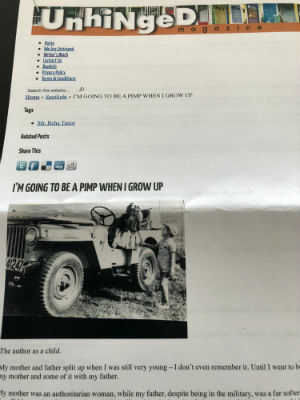 In this fashion, one of our most important employees began blowing off her actual work and spending her time on my blog. And thank goodness she did. But before the blog could be successful and readable, it required a good technical foundation. And try as we might with a few computer engineers, we never managed to achieve what we wanted – the stories were great, the visuals were nice, but it wasn’t exactly how we envisaged it. 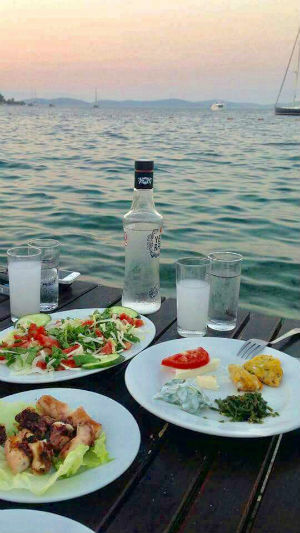 Then one day – in which I just happened to be sitting next to the unparalleled beauty of the Bosphorus once more with some rakı, discussing the football – I mentioned the situation to Nejat Çifçi, a senior manager at drinks distributor Diageo/Mey and a childhood friend of my son. If anyone could solve my technology woes, perhaps it was him and his good connections. A week after our rakı session, the following met around my desk at work (this time without rakı): Nejat, Esin (the content manager for the blog and, later, the book), Erhan (the boss of the Brand the Bliss creative agency), Serdar (an art director), Emre (a creative technologist) and Ercüment (a digital communications consultant). Everyone knew each other well from their careers and collaborated on work well. 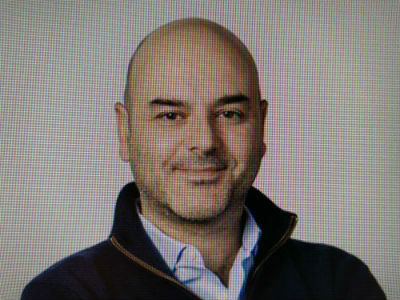 Nejat introduced the team – all of whom had a wealth of experience in advertising and publishing – to me, explained what I wanted to do and asked them for help. And that’s exactly what the team did. All of them – professionals who earn top dollar – liked me and my project. For them, doing a job like this as a hobby might represent a welcome change from their normal day job. Even so, they must have been thinking, Let me get this straight... This guy is pushing 70 and says he likes going to restaurants. But he also says he doesn’t really understand the ins and outs of food, and doesn’t speak English. Now, at this age, he wants to make a gastronomic blog – in English. Is he crazy? But then they thought, But even if he is crazy, why shouldn’t we jump on the bandwagon? It does look like it’s going to be a great party. Apart from a few obligatory expenditures, the professional team provided (and continue to provide) fantastic support without ever asking for a single penny. It’s like I told you: the meaning of friendships forged around the rakı table are something else. After all, not everything is about money. These people really were individuals who did a job without looking for a financial reward and enjoyed doing it to boot. 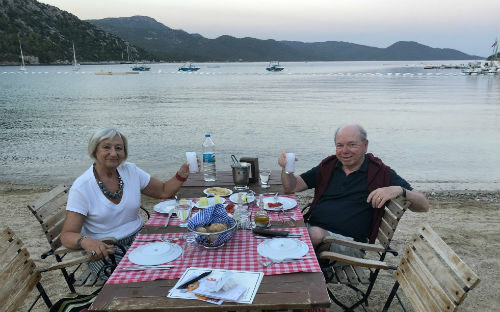 Throughout the course of the blog, we met often over rakı, discussing what we had done and what we would do. I couldn’t even pay a dime to the team, but you could probably buy a lot of help with the final damage of the bills at meyhanes along the Bosphorus. The group worked on the technical foundation, making it easy to follow the blog and flip between pages and topics. What’s more, the agency created a great layout with great visuals. And if I may say so myself, the stories with my conversations and promotional articles really seemed to strike a chord with readers. Back in my youth, I jumped into the workforce as an entrepreneur, becoming one of Turkey’s first exporters. And since those days, every job I’ve chosen has been one that’s been more international. So why couldn’t my blog be like this? Why should it just be Turkish? Why couldn’t it be in English, a language with a few more speakers? But there was just one problem: I know next to no English… If you want to speak to me in the queen’s tongue, our chat wouldn’t extend much beyond, “How are you?" and "Fine, thank you.” Flying to the rescue was Stefan Martens, an editor with the Hürriyet Daily News, an English-language newspaper based in Istanbul. Stef did a great job – and continues to do so – in translating my pieces. Marrying his strong Turkish with a humorous streak in his native English, he captures the exact spirit of my writing. If you want to try your hand in the world of Anglo-Saxon literature and your English is not up to scratch, you’re going to need a good translator. This is the first – and unavoidable – step in your journey. This isn’t, however, just a step that is incumbent on those from afar like Asia or Africa, but also those from France or Germany. In terms of translation, if you fail to get your ducks in order right from the get-go, you’re destined to stumble and fall. While I was searching for a translator, I first kicked Google’s tires. It was, in a word, 'useless'. Its translations, for even basic, everyday conversations, bordered on the absurd. Now, Google’s technology will undoubtedly improve with time, but I reckon it will never advance to the point where it can translate literature, because an algorithm is never going to give you a word-for-word translation of the form with which you express your feelings; it’s never going to convey your soul with the same depth as a real human. Of course, a good English speaker is not tantamount to a good translator. The language you must know for a legal document is different from the prospectus for an IPO, which is, in turn, different from a short story. And if the genre in question is literature, it’s much harder. If the translation is going to work, the translator must have a sense of humour – as well as an inclination for literature. If your translator hasn’t read Tchekhov, Maupassant and Guareschi, don’t expect him or her to translate a good short story. As for our digital consultant – a person who also lectures at university – he got down to work with his students, striving to increase readership figures through social media. We opened up Instagram and Twitter accounts, which soon revealed an interesting discovery: Photos on the blog of dishes made by my wife, Nurdan Tanör, were netting a lot more likes than my travel and restaurant photos. That realisation, alas, marked the end of Nurdan’s more comfortable life. Seeing which way the wind was blowing, she sequestered herself at her desk to pen down every recipe she knew. She wrote for months, the agency photographed her finished creations and Stef – who, by his own admission, is hardly a whiz in the kitchen – translated the recipes into English. 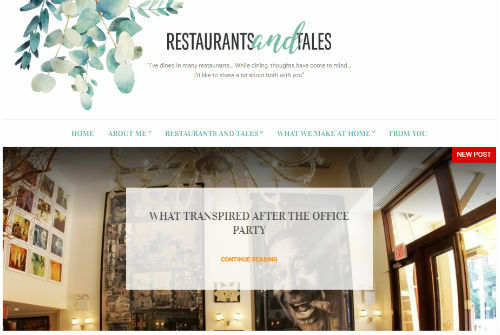 Thanks to all of our joint labours, we finally come up with a rich blog full of stories, reminiscences from restaurants and recipes. You can see the blog here. At the time, we could scarcely imagine that we hadn’t reached the end, but merely the beginning. In terms of content and design, it was just how we wanted it, but regardless of what we did, we just couldn’t reach the number of subscribers we wanted. So I went back to huddle with the team. 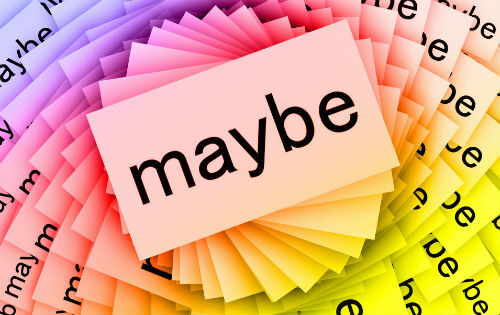 “Let’s make a book.” After all, blogs are great, but there’s one major drawback. You can’t hold it in your hands like a book. Encyclopædia Britannica or Restaurants and Tales? 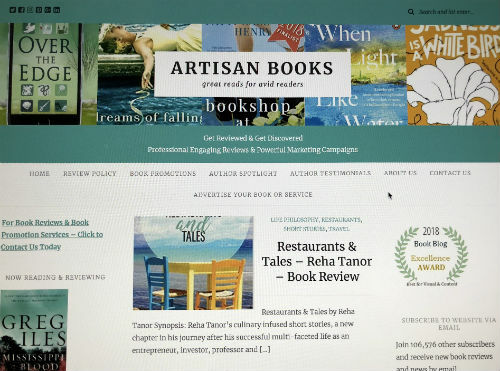 The first report from the team surprised me: Converting the blog into a book would run to 850 pages, what with my stories, Nurdan’s recipes and the photos. (Who knew we had created so much content?) We were in possession of 155 stories, 155 restaurant reviews and 155 recipes. I duly thought, at first, that publishing everything as 155 Tales, 155 Reviews and 155 Recipes would be a grand idea, but I soon cast the thought away. Was I seriously going to embark upon a new Encyclopædia Britannica? I had to think of something. Who would publish the book and where? I didn’t have a clue – that was something else I had to think about. I could have published in Turkey, but that wouldn’t do. No, I had to look abroad one more time. 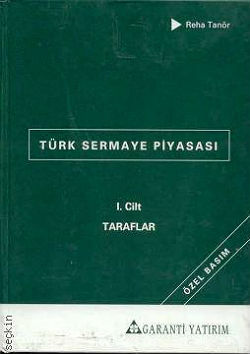 After my first foray overseas as an exporter, I made it into the Harvard University library with my second foray when the institute of higher learning published my book Türk Sermaye Piyasası (Turkish Capital Markets) for the lawyers of the future. But who was going to publish a book of my travel stories, restaurant reviews and recipes? Who were the publishers, and how did you go about finding them? I didn’t have a clue about that either. One day, my daughter-in-law, Sonali, came by with a curious device. I thanked her for the gift, but I just couldn’t get the hang of it; it seemed difficult and impractical. What’s more, it didn’t have much in the way of visuals. Nonetheless, the Kindle introduced me to the world of Amazon publishing. 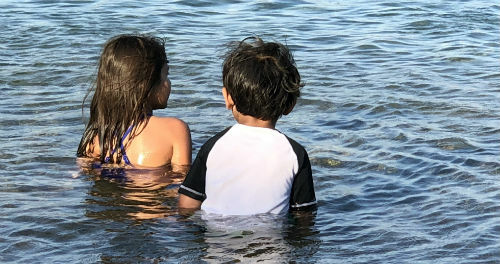 As it happens, a friend at Amazon happened to come to Ege and Sonali’s summer house on Lake Tahoe one weekend, relating everything that needed to be done. We were busy working, but there was still an elephant lurking in the room. We couldn’t sell an 850-page book, let alone print it. Instead, we went with the sensible option, whittling down the 155 stories to just 50. If the book did well, we would still be able to use the leftover material later. Regrettably, Nurdan’s recipes – for which she had shed so many tears of exertion – was left on the cutting-room floor. She was upset, and so was I, but what can you do? In any case, I did my best to make it up to her by taking her to a nice fine-dining establishment – reckoning that a trip to a Bosphorus meyhane might assuage her anger. In the end, the whole team did their job to a T.
The easiest part of the process was making the presentation to Amazon, as Ege passed along the BTB agency’s flawless file on to the publisher. Two or three days later, Amazon gave the all clear. In terms of the publishing phase, everything went swimmingly with Amazon, but there were a few issues later that presented a problem. I bought five or six copies of the book to send to a few close friends for feedback. They really liked the book, but when they tried to leave a comment or two on Amazon, the publisher wouldn’t let them on the grounds that they hadn’t bought the book. (It’s probably a measure, of course, to weed out fabricated comments.) But for crying out loud, how many copies of a book would an author purchase just so he could direct his friends to gain comments? Is it truly the best idea to block such valuable comments so such shenanigans never occur? A similar problem subsequently emerged when people who had bought the book tried to leave comments. In fact, two readers got in contact and told me that they had wanted to leave a comment about the book after purchasing it from America but had been prevented from doing so. It seemed that you couldn’t leave a comment unless you had made a purchase of over 50 dollars. If that’s the story, then it’s not good in my book; it seemed like a violation of consumer rights and an unethical attempt to force people to shop for more. The book was printed, and it was all ready for sale, but that wasn’t the end of our task; in fact, it was just the end of the first phase. The second phase was going to be just as difficult as the first. What was it? The sales process. Now, there’s a thing I always tell my students: Whatever job you do, do it well. Whether you’re building a product, offering a service or creating a work of art, pull out all the stops to make it the best it can be. For that, you’ll need to put in great effort and a great outlay of talent. That, however, isn’t sufficient. Whether you’re at the top of the class in terms of making a toilet seat, a picture or a novel, your work isn’t done with the production. That’s because you have to showcase and market your product to others. Otherwise, don’t expect anyone to come looking for your diamond in the rough. You’re the one who’s going to promote it, using your own skills and your own powers of organisation. Let me give an example from the world of literature. In 2006, the famous Turkish author Orhan Pamuk won the Nobel for literature. 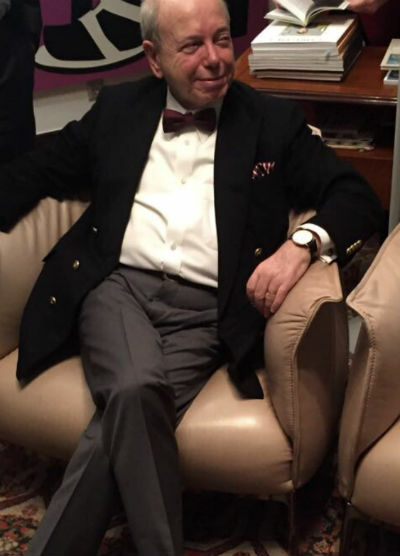 Before that, though, we had another extremely talented author, Yaşar Kemal (the author of Memed, My Hawk), who was invariably up for the Nobel. But Kemal never won, unlike Pamuk. Why? Was Yaşar Kemal missing something as a writer that Orhan Pamuk had? Not at all! It’s just that Yaşar Kemal didn’t play by the rules – or didn’t know how to play by them. He was the author of fantastic novels, stories and theatrical works, but simply producing them isn’t enough. Pamuk, by contrast, is someone who knows English well, displays an openness to the world and knows how to follow what’s going on there. He understood well that it wasn’t just about writing well, but that you needed to find help from different circles to help you negotiate the rules of the publishing game. In the end, Pamuk worked together with agencies, editors and maybe even PR people, earning himself a well-deserved Nobel. I, meanwhile, am not the author of a bestseller, and I don’t have the capacity to show others how to produce one. I’m just a writer who’s trying to ensure his new work gets sold. The only thing I can share is the adventure. 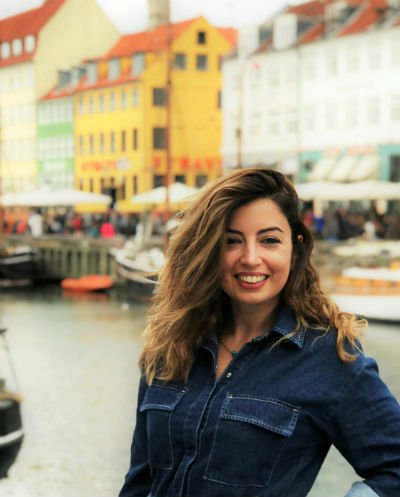 As a Turkish writer who doesn’t know English, I can only relate how I managed to sell a book outside of Turkey, as well as the things I have done – and am continuing to do – to ensure it finds success. It’s been three months since my book was published on Amazon; so far, I’ve managed to sell 231 copies. In truth, when self-published authors have sold 300 copies of their work, they can apply for membership in the Society of Authors, but I’m well-aware that that’s not enough to ensure that the book is accepted. That, instead, requires my own promotional efforts. I sat down to think, listing what I could do and how – a legacy of my 50 years in the workforce. Our guiding principles illuminated our way forward. In nature, all living things must struggle to survive, and success is a sine qua non. However top-notch the book you’ve written is, you need to be prepared to battle to promote your creation. The battle to ensure sales is not an easy one. This, however, is also a new age, because of the internet. Thanks to this online world, it’s easy to reach editors, literary journals and contests. Back in the day, you would post your story, novel or poem to a few addresses that took forever to find, and sit back and wait for Godot. These days, we have all the resources to promote ourselves at our fingertips. In this battleground, I send my book or my stories to a variety of places and demand they take a look. The first ports of call are magazines that print stories (either paid or unpaid), as well as contests that accept entries (either paid or unpaid). I also try to take advantage of social media, while looking into advertising resources that are inexpensive but pack a punch. But I know, the struggle is about a lot more than simply sending email upon email. In general, you can’t escape the fact you’ll have to shell out a bit of cash for the promotion. Not everyone can make this outlay, and not everyone that can will reap the reward. But if that’s the rule of the game, it’s something you have to know – because there’s no such thing as an easy victory. Promotion costs money. So far, I’ve only had time to send my stories to a handful of literary magazines. One of these was Unhinged Magazine, which liked my piece and even put it on its front page. Since then, I’ve developed a bond with its editor, Felipe, a Mexican literature teacher. I’ve asked Felipe to translate my work into Spanish – and if that works out, why shouldn’t I knock on Amazon’s door again to publish a book in Spanish? Struggle is a must, but it is not a key to open every door – if struggle were the only thing we needed to attain success, that would have been wonderful, but that’s not the way it goes. After my first principle to never lose the tempo for the battle, my second principle is to keep my portfolio strong. If I hadn’t trusted the quality of my stories or run my work past experts, I would have never tried my hand at this business. After all, if your product is no good, it doesn’t matter if you bust your gut; nothing is going to save you. Before publishing Restaurants and Tales, I showed the stories, as well as the proof for the book, to a few editors I trust. Based on their responses, I dove further into the task, editing and improving my work. In Restaurants and Tales, every piece has a story and a vignette from a restaurant. The stories feature some ironic fiction grounded in my memories, while the restaurants are well-known establishments around the world that I’ve had a chance to visit. We’ve searched high and low, but we haven’t been able to find any other example of literary stories involving restaurants. (Some of the late Anthony Bourdain’s stories might be similar, but they are absolutely not the same.) That’s why Restaurants and Tales doesn’t fit into any genre. It’s unique – but that doesn’t help when you’re trying to decide on a category on Amazon. In the end, we chose 'literature-fiction' and 'food-travel'. Whoever fails to discern well, vacillates wildly between left and right before finally going off the rails. Writing a book and marketing it is a long road; there are obstacles, there are opportunities and there are rest stops. There are also hitchhikers that you can pick up, and some you can’t. In terms of deciding which of these you have to choose, it’s critical that you make a good analysis and see both sides of the coin. 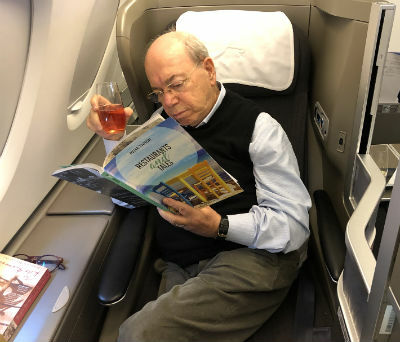 Deciding which magazines I should send my stories to and which contests I should enter – without wasting my time – is only possible after making a good analysis of the situation. As such, I make the effort to sift through the hundreds of good and bad internet sites that publish stories to find the ones that suit me. This, in the end, is how my path crossed with that of Christopher Fielden. I scoured literary consultancy agencies, literary blogs (particularly short story blogs), magazines, book promotion sites, humour-writing publishers and even advertising sites, all in the search for someone who would provide me with a comprehensive literary assessment and assist me in promoting my work. I had received plenty of positive feedback on my stories, but good tidings from a reader are not the same as a professional appraisal from a literary critic; I wanted to score well on both counts. To do that, though, I needed to hear my shortcomings from an authority on the subject. Thanks to criticisms like these, I hope to do a better job. Only then will I feel confident enough to enter contests; only then will I be able to publish my second book. At the moment, The Literary Consultancy is casting a critical eye over Restaurants and Tales. At the same time, Sophie Rose of Artisan Books published a very pleasing review. There’s another thing that I must mention: After researching who might be able to assist my project, I noticed that there are hundreds of firms out there who claim that they’ll be able to teach you something or open doors for you. But following my correspondence with a number of sites, I realised that, far from them being able to teach me anything, they were in need of learning some things from me. As for me, I directed my energies more toward British sources on the assumption that my ironic, darker sense of humour would go down better with the British than with others, like the Americans, whose sense of humour leans toward short sketches, gags and sarcastic humour. Of course, that doesn’t mean at all that I won’t look at opportunities in the U.S. market; after all, the market is bigger there. Ultimately, I realised that authors in need of techniques for writing stories, translation, structural overviews, literary assessment, copy editing and proofreading truly need to make their decision carefully. And after all my meticulous search, I approached Christopher Fielden. That's how I ended up writing this post. I doubt you have, unless you’ve gone to a Turkish hammam. When you go to a Turkish bathhouse, you can’t enter the hot section in just a bathing suit or underwear – or, needless to say, au naturel. Instead, everyone wraps themselves in a towel-like piece of fabric called a 'peştemal' before entering. Whether you’re relaxing on the centre stone, getting a good rubdown from the hammam attendant or washing yourself in the basin, your peştemal is always wrapped around you. But how does it stay on? The secret is this: Once your peştemal gets wet, it never falls off, meaning your fellow hammam-goers never get to see your nether regions. In fact, it gets so wet that you can hardly scrape it off by the end of your trip to the hammam. For that reason, 'stick on someone like a wet peştemal' has become a Turkish business idiom for an utterly insistent person who latches on and never, ever lets anything go. It’s something that perfectly describes a carpet seller at the Grand Bazaar, or the book sellers at Rome’s Pantheon or in front of the Vatican Museum. Once they’ve spied their prey/potential customer, they won’t stop at anything until they’ve made their sale. On Christopher Fielden’s blog, I soon realised a quality that set it apart from others. The literature industry is not Chris’s sole purview, as he also has serious interests in music and motorcycling. Together, this shows that he has a different cultural take on the world – something that was important to me. Beyond that, he is also hyper-energetic; he can oversee the blog, organize contests and provide pointers without compromising on quality – something else that was very important to me. The man boasts books that have won five stars and runs humour contests like To Hull and Back, which I’m thinking of entering in the future. He will allow me to promote myself in a quality setting. I sent Chris an email with a story of mine attached, asking if he could read it. His initial response, alas, was negative. I could have opted for another blog, but I didn’t, because I had realised that Chris’s blog was the one for me. Like a wet peştemal, I latched on. I sent him another email, receiving back another rejection. But, as you now know, it’s not possible to free yourself of a wet peştemal. Third time lucky, I thought, and tried again. This time, he read my story, and as soon as he did so, he started beating a path to my door. “Sit down and write about your adventure so that other writers and would-be writers will have a path to follow,” he said. I did as I was told, and I hope that my experiences will be of benefit for other aspiring writers. Now, I noted above the need to create something with quality, be discerning and hone your cultural side. In terms of the last point, it’s important to recognise that everything starts and ends with what culture gives us. If we can’t figure out what the point of all our efforts are, then there’s little value to what we’re doing. We’d just be like sheep that eat grass and give milk. The thing that helps us perceive the world around us is our culture. The thing that teaches us how to live well and gives meaning to the things we think is nothing but culture. Because people need to express themselves. We can’t live without saying something to others. This would be tantamount to a metaphorical famine. We’ve always needed to express ourselves, and always will. And that’s why, even in this digital world, stories, poems and novels aren’t going anywhere. I reckon these principles are just as valid in the quest for success in life as they are for the writer in pursuing his or craft. Reha was born in Istanbul in 1947. A former entrepreneur, he's currently a retired law professor and the Chairman and CEO of Garanti Investment Trust, an Istanbul Stock Exchange listed investment fund. Reha has published three books along with numerous academic papers in the field of capital markets law. He also has a book describing his days as an entrepreneur and another one in the humour genre. 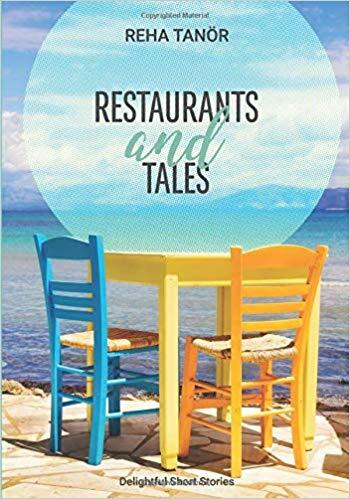 His latest book, Restaurants and Tales, where he intertwines his personal stories and his travel experiences, is quite unique. 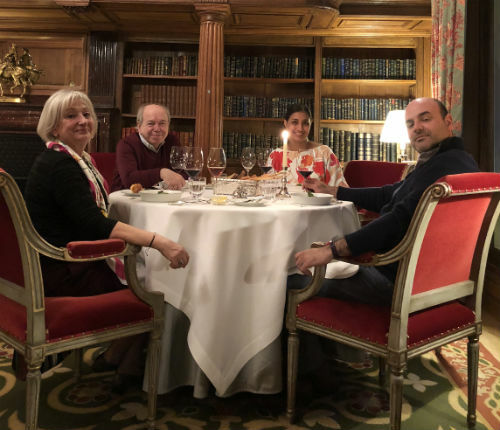 Husband of culinary blogger Nurdan Tanör for 45 years, he is the father of Ege and Sonali Tanör, both prominent fintech executives out of San Francisco. He is also the grandfather of Anisa and Aslan Tanör. 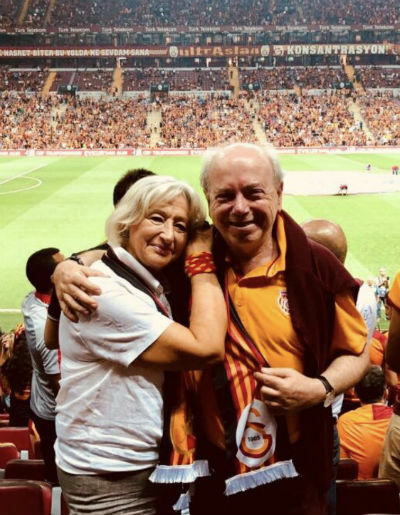 He's a fan of the Galatasaray soccer team in Turkey and Manchester United in the UK – Man U because he was amongst the spectators for the team’s last Champions League match against the Red Stars in Belgrade in 1958 immediately before their terribly sad plane crash. You can learn more on his blog. See why I said 'epic' in my introduction? It wasn't an understatement. The screenplay for Ben-Hur is shorter than this post. But with a post of length comes in-depth insight. The reader can gain the full story and learn from it. I'd like to thank Reha, and the rest of his team, for writing and preparing such a detailed account of his publishing experiences. If you have a story you would like to share with my readers, please review my submissions guidelines. Dear Christopher, Reha is my high school friend. Unfortunately you don't have the possibility to read his Tales book in Turkish. He is a great writer. I intent to write a book about my experinces on family companies. He has recommended your book to me. After reading your book "How to Write a Short Story" probably I will get in touch with you. Thank you for ordering my book – I hope you enjoy it. And I wish you the very best of luck with writing your book. I'll look forward to hearing more about it when you're ready.